The Anna Maria Strap Collection by Windward Design Group is tough poolside furniture, constructed to take heavy-duty use and abuse. The Anna Maria Strap Collection features a durable aluminum frame, constructed with 2” by ¾” extrusions. 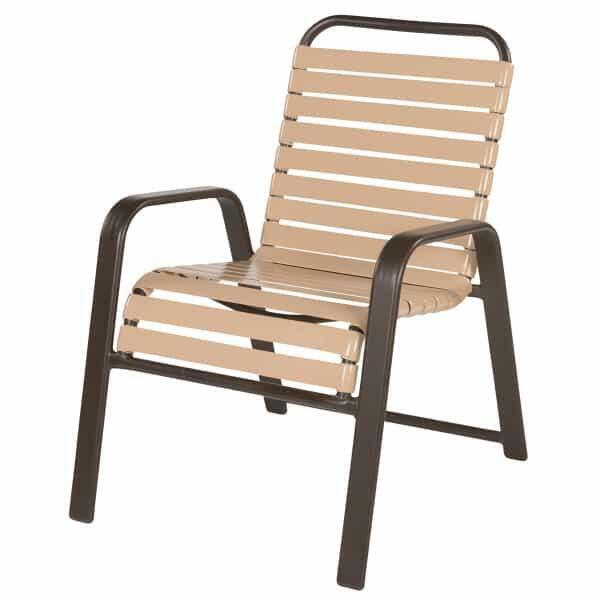 It is finished with Windward’s own polyester powder-coating. The straps are 100% virgin vinyl and are double-wrapped for extra strength and longevity. The Anna Maria Strap Collection is made to order in the USA. Choose from a huge assortment of fabulous frame and vinyl colors, from Deepwater Blue to Buttercup to basic Black.